Wiltshire is based principally on a chalk soil which is poor in nutrients. Plants grown in and for Wiltshire garden centres therefore concentrate on varieties which enjoy those conditions. Many herbs do very well on a chalk soil including lavender, bay trees, and fennel. Chalk is also poor at retaining water, which makes it very suitable for these herbs. Other plants which do well are rudbeckias, cornflowers, poppies and lisianthus. 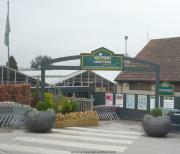 Wiltshire has a good number of garden centres and these span some of the larger ones and others that are more specialist. 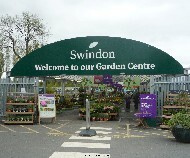 By turnover the larger garden centres in Wiltshire are Whitehall's in Lacock and St Peters in Worcester. The plants area is partially covered with about 80% open to the rain. The plants are principally laid out in boring rows which do not provide any interest or inspiration. There were however lots of clear large ... Click here for the full review. As you step out of the main garden centre building you enter the covered outside area for tender plants which leads on to the main outside area. This is very well-designed with lots of trees and ... Click here for the full review.